Teenager Killed In Two-Vehicle Car Crash In Boca Raton | Schuler, Halvorson, Weisser, Zoeller & Overbeck P.A. 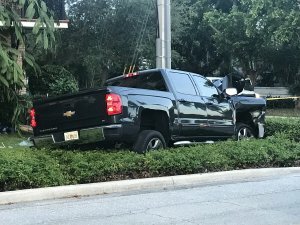 A 16-year-old Boca Raton teenager has been confirmed dead after losing control of a car and crashing into a pickup truck, according to the Palm Beach County Sheriff’s Office. The incident happened in the 8000 block of Glades Road in Boca Raton. The girl was driving a 2006 Kia Rio westbound on Glades Road, near the Florida Turnpike access road. She lost control of the car after driving through a mild bend on the roadway. The car rotated off the roadway and ended up striking a pickup truck with the driver’s side door, the sheriff’s office said in a report. The teen was pronounced dead at the scene. Officials say she was wearing a seat belt and there was no evidence that either drugs or alcohol played a part in the accident. The pickup driver suffered minor injuries and is currently in a stable condition in Delray Medical Center. He was the only occupant in the truck. Speed appears to have been a factor in the crash, according to the report.